In CNC machining, accuracy is the name of the game. Moving parts in CNC systems must position and reposition themselves with superior speed and precision in order to achieve the tight tolerances and perfect repeatability that CNC machining is known for. Miki Pulley designs and manufactures a range of high precision motion control solutions for CNC machine tools. 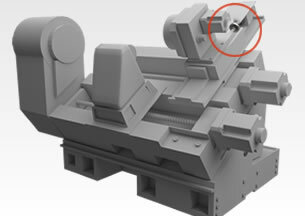 In the example above, a Miki Pulley PSL shaft lock bushing, SFC precision coupling, and BXW spring actuated brake are used to control the movement of the CNC system’s workhead. The three devices work together to improve the machining center’s precision positioning capabilities and overall performance. The PSL keyless shaft lock bushing uses the wedging action of its tapered surface to connect the shaft and hub. This unique design allows shaft and hub to be connected with high concentricity. The PSL produces an even radial surface pressure and higher torque values. Designed for zero backlash, the SFC shaft coupling incorporates metal plate springs to provide high torsional stiffness and to accommodate minor misalignment. The SFC’s outer hub diameter is linked to the shaft diameter to achieve ultra-low inertia that is ideal for high-speed rotation. 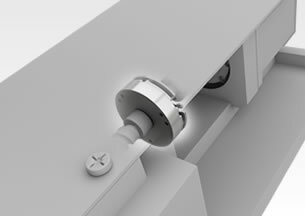 The BXW shaft brake halts rotation when power fails, preventing ball screw back-drive. This electromagnetic brake offers quiet operation, stable braking force, and high torque in a compact package. Request a quote on the shaft couplings, shaft lock bushings, and other motion control solutions your CNC machine tools need. Or, contact Miki Pulley to learn more.